Taapsee Pannu can be termed as one of the busiest actors of Bollywood as she is currently working on four films. Taapsee has been garnering a lot of fantastic reviews for her role in Soorma and even more appreciation for taking on a much talked about film Mulk. The Anubhav Sinha-directorial Mulk talks about islamophobia and, from the trailer, it appears that Taapsee seems to be the voice fighting for justice. 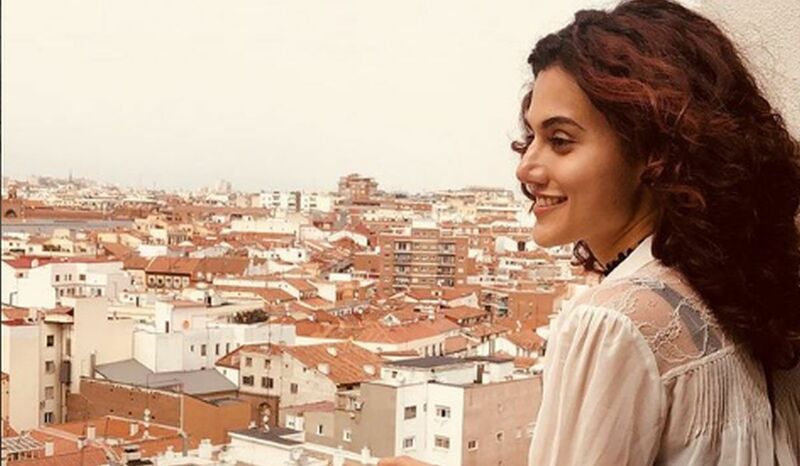 When the trailer of Mulk was released, a lawyer named Vasid Shaikh appreciated the director for choosing such a strong topic and was all praise for Taapsee for taking up the role. Check out the video in which the lawyer praised actress. Apart from Mulk, Taapsee has Manmarziyaan with Vicky Kaushal and Abhishek Bachchan; and Badla with Amitabh Bachchan.